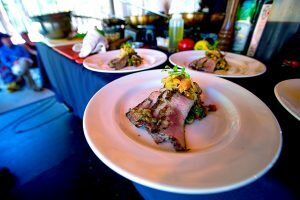 If every bite and sip tell a story then Lake Tahoe’s largest farm-to-fork festival Sample the Sierra has written volumes about the unique taste of the Sierra Nevada. 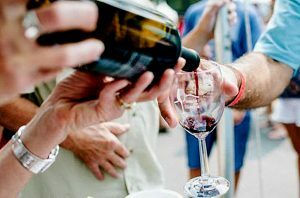 For eight years local growers, restaurants, wineries, breweries and distilleries have paired together to create ephemeral menus only found at this one-day food and wine event in South Lake Tahoe. Sample the Sierra returns for its ninth chapter on Sept. 15, 2018 with over 40 regional favorites serving new and exclusive pairings. Vendors hail anywhere from Placerville and Lake Tahoe to Truckee and Reno, each showcasing products developed and influenced by the region. Every item included at Sample the Sierra is tied closely to the region which produced it and provides a wholly inimitable taste of the Sierra Nevada. Every pairing available at the festival includes a food item created with local ingredients and an alcoholic beverage. Brewery & Grill, Primo’s Italian Bistro, MacDuff’s Public House, Blue Angel Café & Catering, The Lake House, The Loft Tahoe, Taste of Europe, Hard Rock Hotel & Casino Lake Tahoe, Stateline Brewery & Restaurant, Ten Crows BBQ, The Cork & More Lake Tahoe, Fox & Hound, Lodge at Edgewood Tahoe, Tahoe Pourhouse, Revive Coffee & Wine, and Tahoe Pops. Dishes will be created with produce and products provided by local purveyors, including Boa Vista Orchards and others soon to be announced. Wineries, distilleries and breweries include: Cold Water Brewery & Grill, Bella Grace Vineyards, Sidellis Lake Tahoe Brewery & Restaurant, Boeger Winery, Crystal Basin Cellars, Madrona Vineyards, Rucksack Cellars, Findleton Estate Winery, Lewis Grace Winery, Calaveras Wine Alliance, South Lake Brewing Company, Tahoe Blue Vodka, Everhart Cellars, The Brewery at Lake Tahoe, Lava Cap Winery, Outpost Brewing Co., Rosa-Lucca Estates, Mountain Brews, Lake Tahoe AleWorX, and Mediterranean Vineyards. 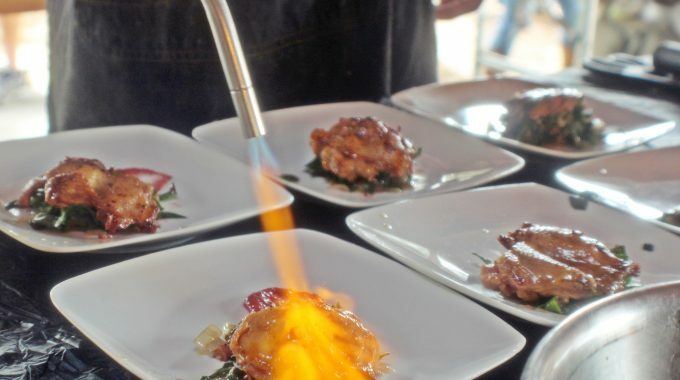 In addition to tasting creations from participating restaurants, attendees will also witness three local head chefs (with a possible surprise challenger) throw down in an Iron Chef inspired cooking contest during the Sierra Chef Challenge. Cold Water Brewery & Grill’s Patrick Harrity returns to the kitchen to defend his title against Glen Simpson of Lake Tahoe Community College’s ADVANCE culinary program and Edgewood Tahoe’s Lonny Huot. They will prepare two dishes from secret ingredients in one hour. Each will be judged on their creativity, presentation, taste and use of secret ingredients to determine the next Sierra Chef champion. Entertainment continues with live music: Worn Out Welcome will reunite for a one-time only performance at Sample the Sierra. A favorite of locals, Worn Out Welcome combines bluegrass with upbeat jams and has headlined Carson Valley Days, the Red Room at Crystal Bay Casino and Live at Lakeview. Attendees will also be able to experience the range of talent of local artisans and artists with a selection of handmade goods. The festival marketplace will feature MK Designs, Tahoe Dog Gear, artwork from Will Eichelberger, Elizabeth & Marin, Eric Dean Practical Art, Tahoe Heartbeat, Lovin’ Lake Tahoe, Tahoe Bath and Candle Works, Tahoe Mountain Soap Company, MjSchaer Photography, Sierra Essentials, Alexis Art & Accessories, Squishiebaby Sweets, co2 Kustom Art Studio, Liston Studios, Tahoe Grown, Bella Drops Jewelry, Rugged and Raw, Tahoe Pops, Stonecrop Silverworks, Dharma Love, Retiredice Alpacas, Orysia Creates, ADVANCE, Heart Rock Herb & Spice Co., and Mountains Calling. The ninth annual Sample the Sierra is located at Bijou Community Park, South Lake Tahoe. Early bird tickets are available through Sept. 14 for $40 for adult and $30 for under 21 and designated drivers. Tickets are available the day of the event for $45 and $35 for under 21 and designated drivers, with children three years old and younger free. Tickets are available here. Sample the Sierra is produced by the Lake Tahoe South Shore Chamber of Commerce, the Lake Tahoe Visitors Authority, El Dorado County, and the City of South Lake Tahoe. The festival is supported by El Dorado County Wines, Gondola Vista, Camelot Party Rentals, Hard Rock Hotel & Casino, Sacramento International Airport, South Tahoe Alliance of Resorts Getaway Reno/Tahoe, Sierra Living, Sierra Food Wine Art, Tahoe Daily Tribune, Lake Tahoe Television, Tahoe.com, Tahoe Quarterly, Lake Tahoe Resort Hotel, South Tahoe Refuse & Recycling Services, Liberty Utilities, CalTrans, Winters Electric, Sotheby’s International, South Tahoe Restaurant Association, Lake Tahoe Community College, RPM Mortgage, Deb Howard & Co., Sierra Meat & Seafood, Nevada Museum of Art, and Smart & Final. Boeger Winery – Celebrating 40 Years!